You can star any note by clicking the star icon in the top right corner of a note. 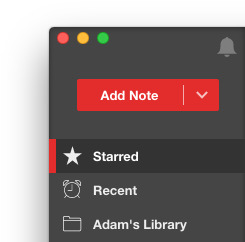 Then you can quickly return to your starred notes by clicked Starred at the top of the sidebar. It's a great way to quickly get to the notes you are currently working on notes that require follow-up.